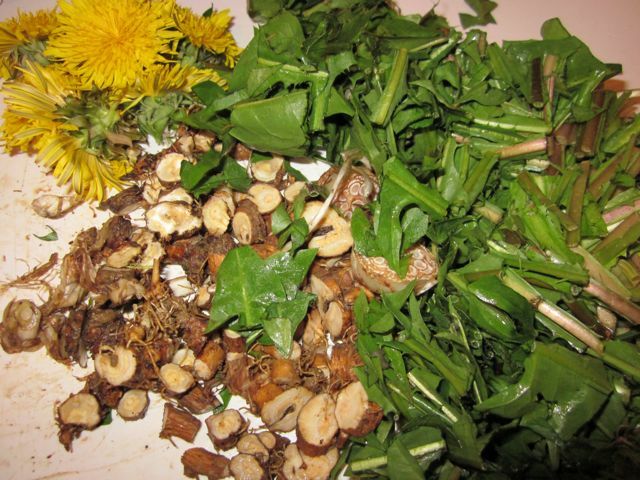 Dandelion is one of my favorite wild foods. 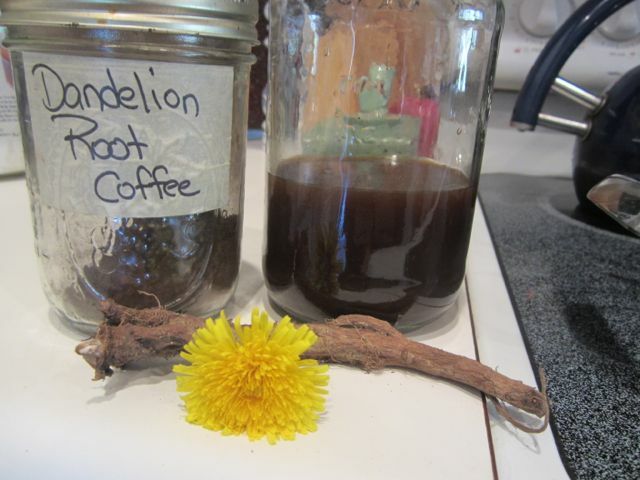 But I have never actually made Dandelion root coffee before and so I was pretty jazzed to try it for a wild breakfast I made with Sean Croxton. I have lots of stored roots of all kinds at home (Evening Primrose roots, Queen Anne’s Lace roots, Sassafras roots, Burdock, Yellowdock, Dandelion, Elecampane, Solomon Seal, Mullein…….) but I was in San Diego away from my wild stores. So I bought some Dandelion Root and it worked quite well. I was amazed at how much it tastes like coffee and yet it is soooooooo good for you. Quite proud to serve this to Sean, I was dismayed to discover that he is a coffee hater. I asked him to sample it for me and he said, “it tastes like coffee” nuf said. 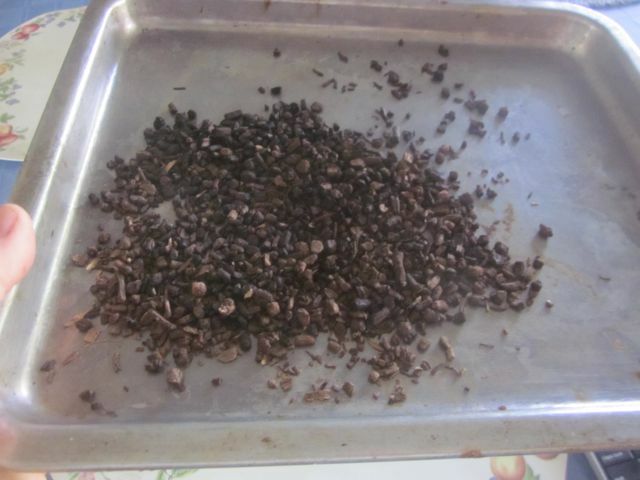 Since I wrote this blog entry over a year ago, Dandelion root coffee has become my favorite daily drink. Keeps me digging! Dandelion root coffee with cinnamon and maple syrup and a tiny Crabgrass muffin for a tiny tea party with myself. The forest fairy was made for me by my sweet neighbor friend, Kazia. The tea pot is one of my more treasured possessions for it was a gift from Linda Runyon. Her tea pot during her homestead days. If teapots could only talk!